Three Cheers for Wales – Upcoming Events! Saturday, 28th February: Book signing at WHSmith, Newport from 11 a.m.
Monday, 2nd March: School event at Llantwit Major Library. Wednesday, 4th March: School event at Barry Library. Friday, 6th March: School event at Llandeilo Primary School. 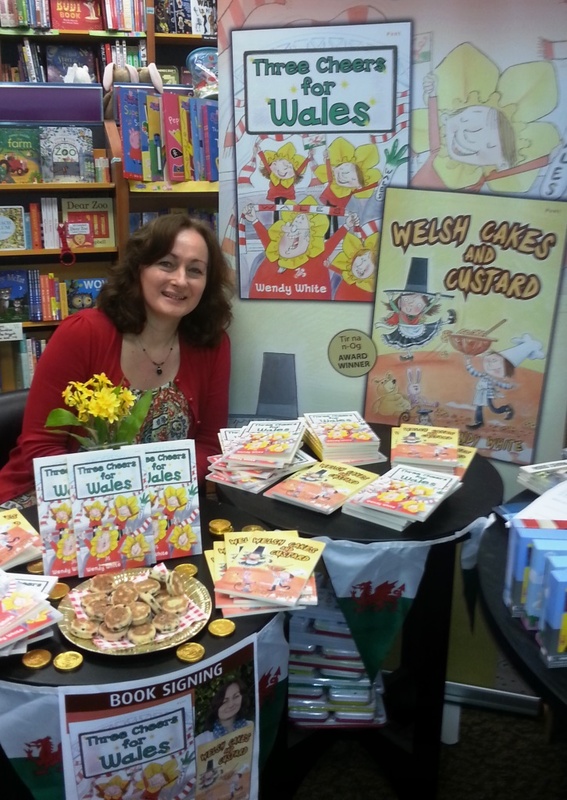 Saturday, 14th March: Reading and book signing at Siop y Ganolfan, Merthyr from midday. Saturday, 21st March: Book signing at Emelia May, Llanelli from 10 a.m.
Saturday, 28th March: Book signing at Waterstones, Wrexham from 11 a.m.
And a big thank you to WHSmith Llanelli, Cardiff and Brecon, and to Aberystwyth Waterstones for hosting half term book signing events, and to everyone who came along and bought books. Diolch yn fawr iawn i chi gyd!